For the first time, scientists have used Chemometrics analysis of LIBS data in a blind test to successfully identify five pathogenic bacterial samples and differentiate between strains of a multiple-antibiotic-resistant species. Dr Rosalie Multari and her colleagues at Applied Research Associates believe that the ability to distinguish both species and strains using only raw spectra raises the prospect of rapid diagnostic instrumentation for use both within laboratories and in the field. Dr Multari’s team used the Andor iStar intensified CCD camera to analyse ten accumulated spectra from the laser-induced plasma plumes, with each spectrum accurately delayed by 1μs from the laser pulse and integrated on a 20μs temporal scale. The overall 1 second detection period allowed the identification of the five bacterial samples with 100% accuracy, including Escherichia coli, three methicillin-resistant Staphylococus aureus (MRSA) strains and an unrelated MRSA strain. "Andor iStar Intensified CCD is the perfect platform for such challenging LIBS measurements", according to Andrew Dennis, Director of Product Management at Andor. "The cameras feature a fully integrated, software controlled digital delay and ultrafast Electronics for sub-2ns optical shuttering capabilities, a large range of photocathodes, including UV-enhanced and broadband options, with high on/off ratio in excess of 108 even in the UV region. 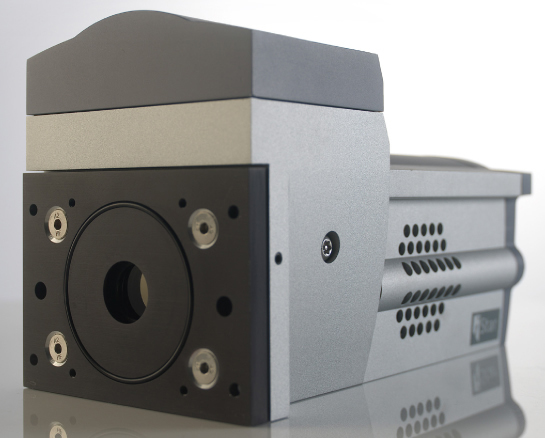 Coupled with Echelle-based spectrographs, the iStar allows access to the highest bandwidth coverage while simultaneously achieving the highest spectral resolution and highest time-resolution." Dr Multari’s work follows a 2006 investigation of bacterial entities discrimination using LIBS spectra. Matthieu Baudelet and colleagues used the Andor iStar and Mechelle, an Echelle-based spectrograph, to investigate the relative concentration of six trace elements in pure samples of five bacterial species, and showed the equipment’s suitability for accurate identification and discrimination. The latest research from Dr Multari’s team shows another major step towards the practical use of LIBS. The LIBS team at Applied Research Associates is also investigating its use in industrial process monitoring, environmental monitoring and workplace surveillance for harmful materials, as well as deployment in space exploration. Unlike other Atomic Spectroscopy techniques, LIBS does not require intensive sample preparation and lends itself to automated or unattended situations outside of the controlled laboratory environment. The LIBS technique directs a focused laser pulse onto a target, which may be a solid, liquid, or a gas. The energy from the pulse vaporizes, atomizes and ionizes the target material to form a micro-plasma, which emits light as a result of relaxation of electrons from excited to lower energy states. Typically, this light is routed to an Echelle spectrograph and the spectral signature of the plasma is uniquely characteristic of the elements within the target.